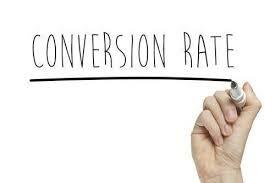 User conversion rate refers to the percentage of visitors ho end up taking up a desired action. It depends on various factors which have been detailed below. Value proposition – This is the sum of all the costs and benefits of taking action. What is the overall perceived benefit in your customer’s mind? Those perceived costs and benefits make up your value proposition. Relevance – How closely does the content on your page match what your visitors are expecting to see? How closely does your value proposition match their needs? Clarity – How clear is your value proposition, main message, and call-to-action? Anxiety – Are there elements on your page (or missing from your page) that create uncertainty in your customer’s mind? Distraction – What is the first thing you see on the page? Does it help or hurt your main purpose? What does the page offer that is conflicting or off-target? Urgency – Why should your visitors take action now? What incentives, offers, tone, and presentation will move them to action immediately?